Do You Know How Much Your Company Is Spending on Printing? Most business owners are shocked when they learn exactly how much they spend on printing each year! It comes as quite a surprise that mismanaged print fleets can cost your company up to 3 percent of their total revenue. This means that a company with annual revenue of $5 million will spend about $150,000 on document output each year. 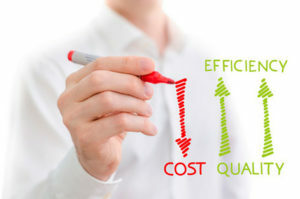 End users rarely have knowledge of the true cost of their printing activities, and employers rarely monitor or control employee printing output. But, without controls and measures, waste can be substantial. FleetCare Managed Print Services from Modern Office Methods can help your business achieve immediate and long-term cost savings. MPS essentially takes over the management of a company’s printers to increase efficiency and consolidate printing costs. MPS clients enjoy the benefits of working with one trusted provider like MOM for all their printing needs. Clients receive remote monitoring of printers, supplies, and service on-demand, as well as tailored management reports regarding the company’s printers. Service costs are summarized in convenient invoices that include all print-related costs for a given period of time (usually quarterly). Clients experience a second wave of cost savings when account managers provide expert recommendations based on reports of the printer fleet. Suggestions are made for printer placement based on utilization and strategic hardware purchases, especially when the technology in multifunction printers can improve workflow, increase productivity, save costs, and replace expensive copiers and legacy printers. This is all part of the customer-centric objective of MPS. 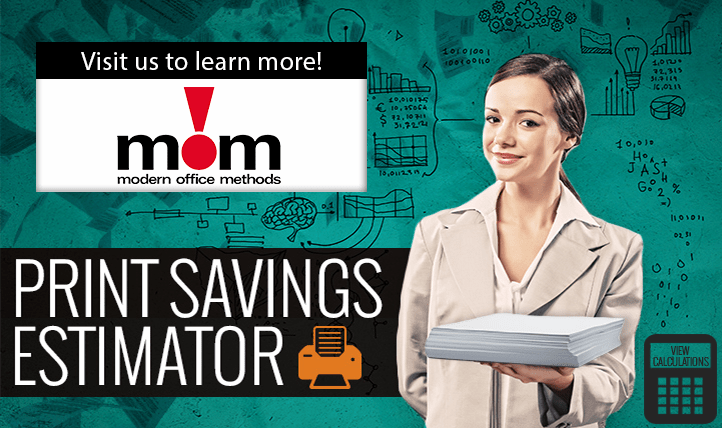 All these measures can add up to as much as 30 percent savings in printer-related costs, often amounting to thousands of dollars in savings for a single client. Contact MOM today at info@momnet.com and take the first step toward implementing an MPS solution that saves your company money. CLICK HERE to test out our PRINT SAVINGS ESTIMATOR and see how much you can save with our FleetCare MPS program.